Every athlete should use carefully balanced diet. This includes people who train swimming. It is worth to pay attention to what diet is appropriate for swimmers. In the water comes to a faster heat loss than on land, due to the fact that the water conducts heat well. Faster heat loss from the body can lead to lower body temperature. After immersion metabolic rate goes up by 50%, and metabolism is up to 5 times faster. Therefore, the diet of a swimmer must provide a large dose of nutrients that are a source of energy. At the same time it should be considered a high risk of body acidity. For short distances, significantly increases the content of lactic acid in the blood, while decreases alkaline reserve. Therefore, the menu should contains plenty of alkaline products and the products must be limited acidifying body. The diet of people practicing swimming permits large amounts of fat than in other disciplines, which is associated with the already mentioned heat loss, which to some extent counteracts fat located under the skin. In the case of people swimming long distances very important role is played by carbohydrates. 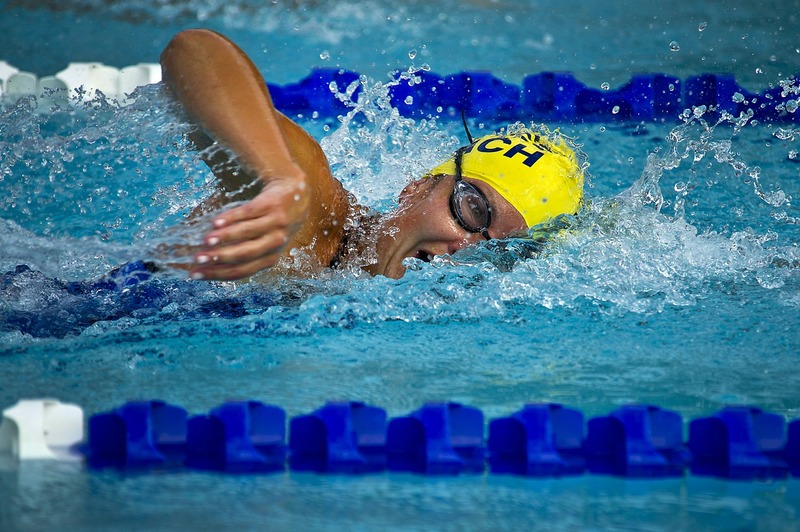 Athletes train for swimming are therefore advised to reaching the appropriate carbohydrate supplements to prevent deficiencies leading to a drop in energy and exhaustion.